With its new positioning, “everyday made extraordinary”, Piony Leung, General Mills’ managing director of North and Southeast Asia, reveals Häagen-­Dazs’ determination to produce ice-­cream products to wow its customers. Sharon Kwok reports. Häagen­-Dazs is one of the top indulgent ice-­cream brands in the world, sold in more than 900 shops in 50 countries. Its ice­-cream products are considered luxurious and high quality. 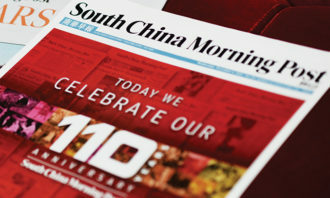 Thanks to the extensive range of its marketing and advertising campaigns, the company has increased its market share by five times in the Hong Kong market in the past decade, reaching almost 40% of market share in 2018, maintaining its leading position in the category, according to Nielsen. Last year, the brand launched its new positioning, “everyday made extraordinary”, marked by impactful and innovative new packaging and campaigns. It aims to attract trendsetting millennial consumers, and seeks unique and authentic experiences they can participate in as well as share online. Piony Leung, General Mills’ managing director of North and Southeast Asia, explains the overall design of the new packaging highlights a French artistic element. The brand invited more than a dozen globally renowned artists to taste the ice­-cream, then illustrate the ice­-cream flavours using their own styles and imagination. Häagen-­Dazs upholds its premium, innovative, sophisticated and luxury ice-­cream image. From its packaging to its marketing efforts, it makes sure it keeps a prestigious and an exclusive impression. 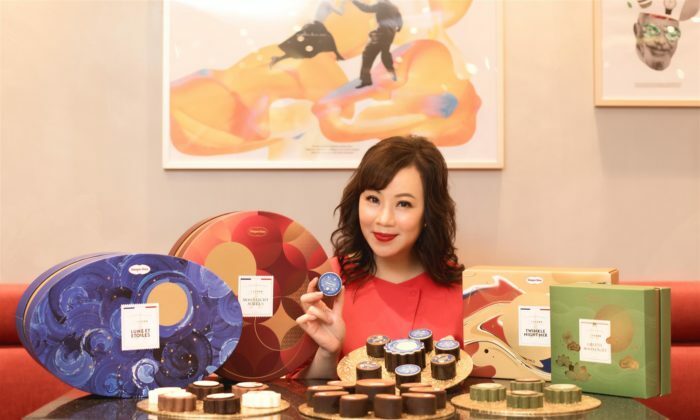 The new brand image was also extended to this year’s festive ice-­cream mooncake packaging, alongside new innovative flavours of mooncake and gift sets, as it continues its efforts to retain its leading position as the top seller of ice­-cream mooncakes in the competitive market of Hong Kong. Following the success of the launch of the azuki bean and green tea mochi flavoured ice­-creams early this year, the brand also introduced the new green tea mochi mooncake to entice the sweet-tooth foodies. 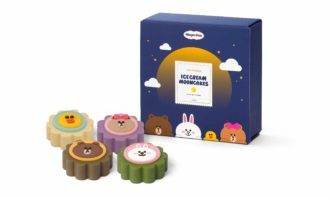 In addition, Häagen-­Dazs partnered with Line Friends to launch the new collaboration of its ice­-cream mooncake set. It is exclusive for its online shop purchases and is targeted at millennials with the aim to boost online sales. The campaign not only includes out­-of-­home, TV, PR and social media, but also LinkedIn as the brand reaches out directly to business executives. For this year, the first phrase of the early bird orders has already exceeded the sales target, Leung says. The ice-cream mooncake has contributed around 10% of total sales for the brand. The premium ice­-cream brand is keen to penetrate the gifting market. 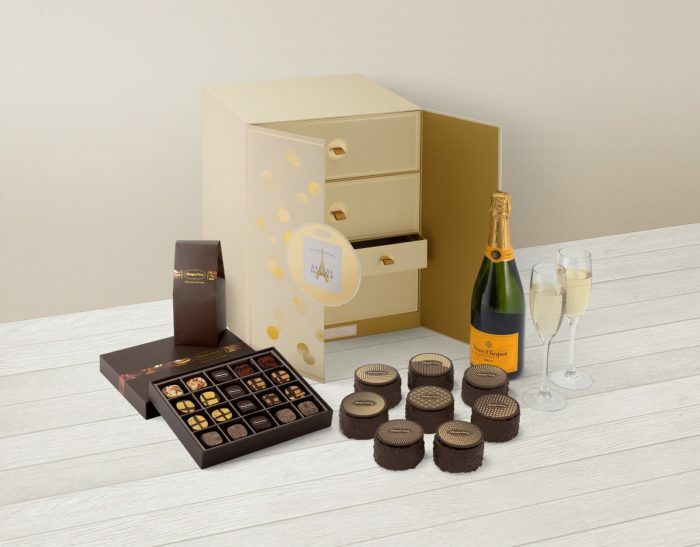 Not only did it offer a deluxe hamper set which included ice­-cream mooncakes as well as a chocolate gift box, a bottle of champagne and a set of gift coupons for the Mid­-Autumn Festival, it also has been developing non­-frozen products such as chocolate and fondue. “We see that the gifting market in Hong Kong is big. For the individual consumers and also the corporate clients, we need to think about how can we constantly provide gifting ideas to our customers and what we can develop to serve their needs,” she says. 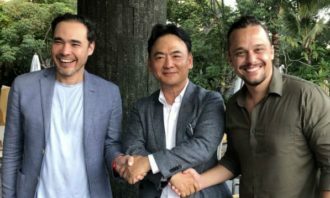 Leung joined the company last year, overseeing seven markets in North and Southeast Asia, including Hong Kong, Taiwan, Singapore and South Korea. Under her leadership, the company has recorded single-­digit growth in turnover in the Hong Kong market. While the core five ice-­cream flavours, which customers can find anywhere worldwide, contribute 45% of total sales, launching limited editions is a key strategy of Häagen-­Dazs. She says: “Because it shows how we lead the category. We want to keep bringing in new innovations and showing our craftsmanship. We use the best ingredients of each season to make extraordinary products.” She is keen on introducing new flavours quarterly. 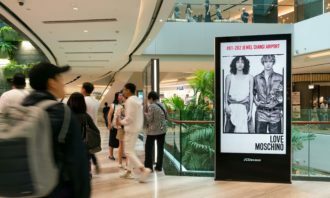 “From the marketing effort point of view, we continuously push through digital and leverage more ways to touch younger people through technology.” She says for the past two years the brand has increased its budget for digital marketing by double digits. “This year we have been working not only on Facebook and Instagram, but also bringing in KOLs (key opinion leaders),” she says. The brand has been marrying influencers such as Mr.Wally with experiential events to push the brand further to millennials. With the introduction of limited edition flavours, yellow peach frozen yogurt and peach and raspberry ice­-cream, the brand launched the “Let’s Peach Party” campaign. Echoing the global marketing theme of incorporating music, fashion and sports to the campaigns, it hosted a concert with music performances from KOLs JW and Mr.Wally, played interactive games with the audience and had a special drinks tasting. The concert was broadcast live through Facebook and JOOX. More and more luxury brands are reaching out to younger demographics. Leung believes the trend of younger customers enjoying a luxury experience is growing. “Young people are the high spending group. You can’t underestimate them. They crave quality and luxury items. They want new things and unique experiences. 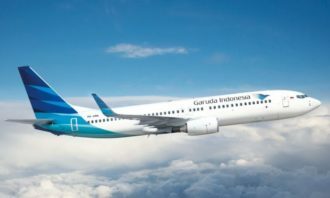 Sometimes not limited to the products, you have to bring in the attitude and value of the brand, and a special customer experience or journey,” she says. It is a consumer product brand, it sells luxurious ice­-cream, and on top of that, it offers a luxurious lifestyle experience, which is relevant to local customers. To expand its products and services, Häagen-­Dazs collaborated with Hotel ICON to launch a high­-tea set, offering photogenic desserts which has captured the Instagram generation. The brand is also planning a surprise launch for winter, most likely something to do with its signature fondues. Some were brilliant, others were not so. .. These appointments come after PHD China's acquisition of HSBC’s global media planning and buying duties as well as the retention o..
Plus 20 brands who understand what it means to be "authentic". .. In a very rare public statement, Apple has announced plans for an entirely new Mac Pro and display, and apologised for "what happe..
Luckily for the design folks at Ferrero, O&M Italia had the right algorithm for the job, which has already produced 7 million uniq..